There's a lot going on this week in the Pacific Northwest. 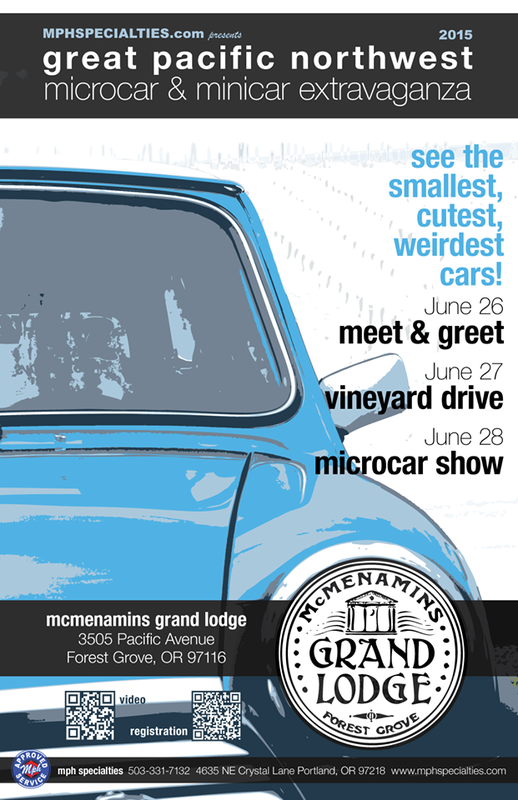 While we'll be at the NW Overland Rally, another great event is the Great Pacific Northwest Microcar & Minicar Extravaganza, which starts June 26. 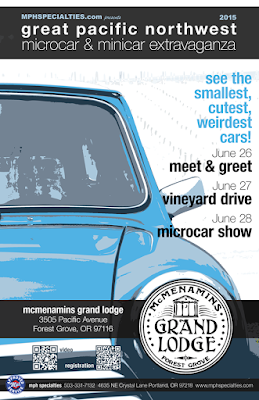 Held each year in Forest Grove, Oregon at the McMenamins Grand Lodge, this event brings out some of the smallest, rarest, weirdest, and most awesome little cars you could possibly think of, and some you can't believe until you see. This includes From Autobianchi to Vespa; BMW to NSU—if it's small, it'll be there. We attended the 2011 show and it was a hoot! And there's a fun video from the 2012 show, too. Hopefully some of you will be able to attend the 2015 event. It's a really good time.